I'm using a SkyTV Ultimate on a Cubietruck (Debian Wheezy, Kernel 3.19.4) with VDR and lirc. cat /dev/mediainput0, but I can't use /dev/mediainput0 with lirc/devinput config. I want to be able to run a shutdown script using irexec, but since there's no entry in /dev/input/..., it can't be accessed by lirc. you will need the "uinput" module to have it work as devinput device. 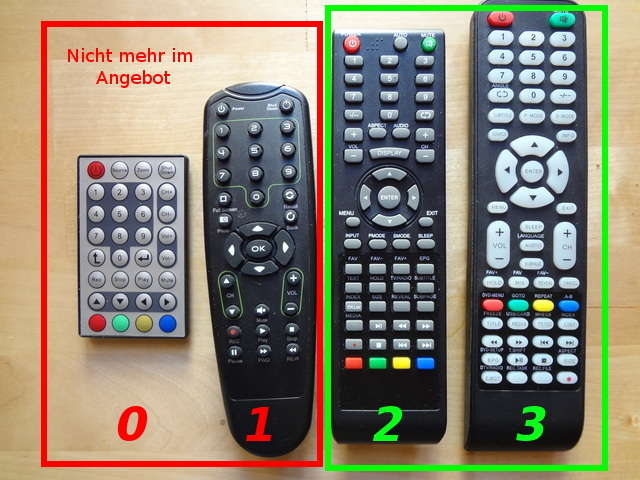 cat /proc/bus/input/devices should give you a hint which device it is. but following the instructions at your lirc howto page doesn't get the remote working, irw gives me no output. dpkg-reconfigure lirc doesn't give me a configuration menu (ncurses-dev installed), so I edited the hardware.conf manually. irw gives me not output at all. We also had trouble to get lirc work last time, however without lirc the keys just work fine. So first try to stop lirc, push the numbers - and if they show up on the console devinput is configured correctly on your side. The rest depends on the lirc setup. this shows which value updaterc should have. [ ok ] Stopping execution daemon: irexec:. �cUҎ��cUҎ�cU����cU���cUt���cUt��cU����cU���cU7^��cU7^�cU�^��cU�^while pushing buttons at the rc. Stopping Linux Video Disk Recorder: vdr. [ ok ] Starting execution daemon: irexec:. So the rc seems to be working in some way, but what am I missing in the lirc configuration ? The default configuration file provided by your company seems to be faulty in the way that there is a 0x00000000000 entry after every code mapping. This seems to confuse lirc. I deleted these second entries and everything worked just fine. We generated that file with lirc ... that would more or less just show some weird behavior of Lirc or at least the lirc version it was generated with. Thanks for the feedback we will check that closer within the next days.